2014 Model Year Requires supplemental FEAD #421821 to be purchased for installation. To be downloaded using the ROUSH Diagnostic Tool (RDT) software. 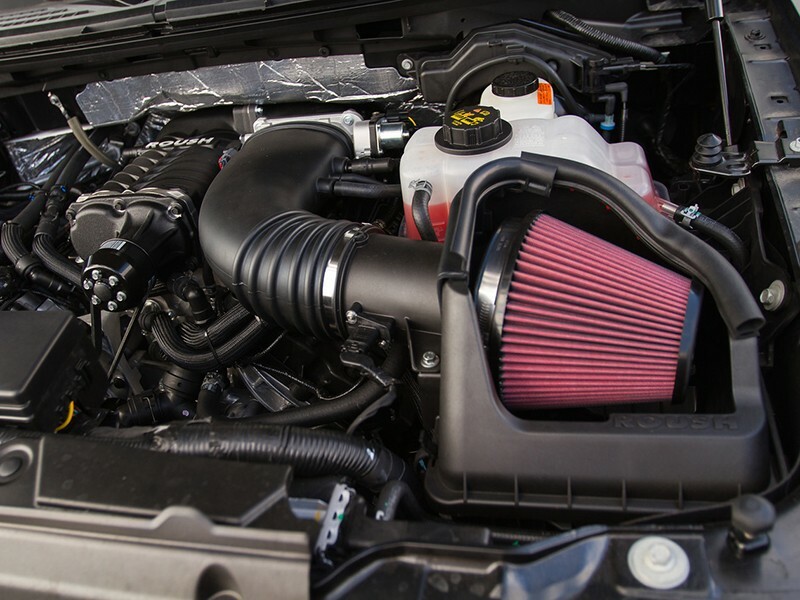 This F-150 Supercharger Kit by ROUSH® delivers 570 HP and 530 LB/FT of torque to the 2011-2014 Ford F-150 5.0L-4v V8 powertrain. 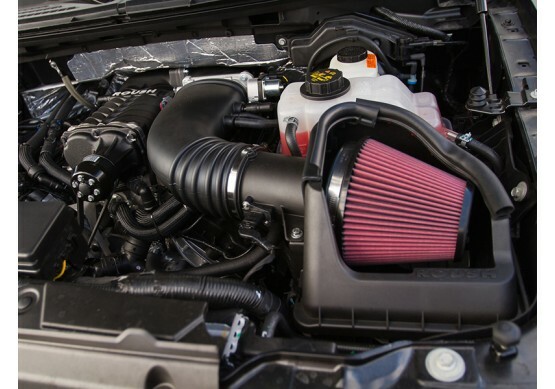 The ROUSH 2011-2014 5.0L F-150 Phase 2 Calibrated Supercharger Kit is part of the TVS (Twin Vortices Series) line of superchargers developed by ROUSH that have raised the bar for performance and reliability. This is the same line that has been used and proven for years in ROUSH-built vehicles. The ROUSH R2300 supercharger features Eaton's new cutting edge Twin Vortices Series technology (TVS) rotating assembly that delivers more power and better fuel economy in a smaller package for uncompromising performance. The ROUSH R2300 TVS supercharger is a roots-type, positive displacement supercharger that features twin four-lobe rotors that are twisted 160-degrees. By comparison, the original Eaton supercharger rotating assembly featured three lobes twisted 60 degrees. The fourth lobe and added twist, when combined with NEWLY redesigned air inlet and outlet ports, greatly enhance thermal efficiency, deliver higher volumetric capacity, enable higher operating speeds, creates a smoother, more efficient flow of air into the engine and has improved noise and vibration characteristics. 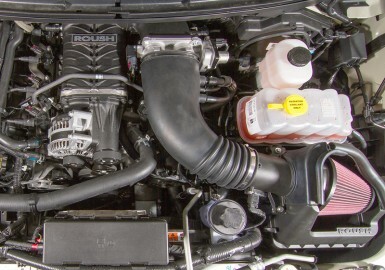 Unlike turbo-charging and centrifugal superchargers, the ROUSH R2300 TVS supercharger provides instant throttle response and can generate increased power through the engine's entire powerband. 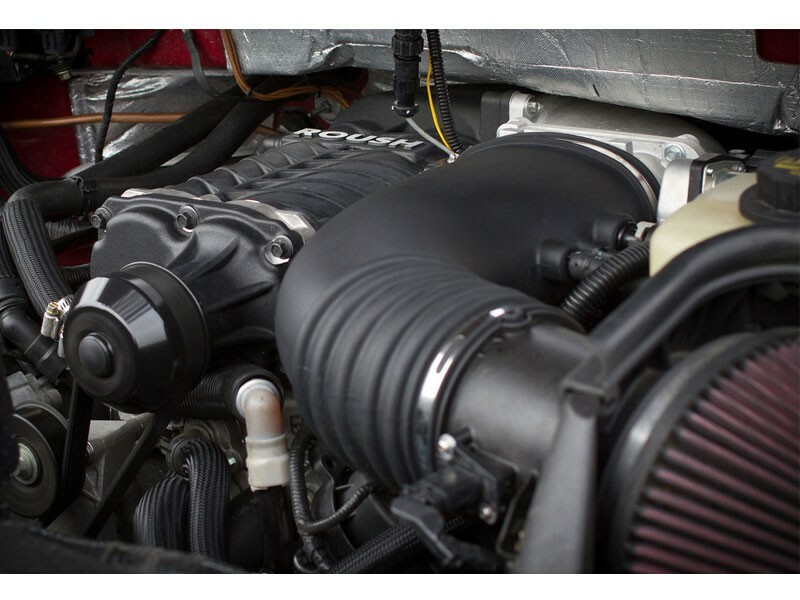 The supercharger design runs on the first-sheave FEAD allowing ROUSH to integrate a heavy duty tensioner designed to handle the increased load of the R2300 supercharger and applying the load closer to the #1 main bearing, thus increasing durability. This part now utilizes the ROUSH Flash Voucher card to be calibrated using ROUSH Diagnostic Tool (RDT) software and pass-thru device. If you do not have access to an approved pass-thru device, you can send your PCM back to ROUSH to be flashed for an additional $100.00 fee. This kit is protected by an extended parts warranty (ROUSH Supplied Parts Only), which is for 3 years or 36,000 miles from retail purchase date.